Cloudy with a chance of Eggs. Hurricane Isaac has postponed the first day of the GOP Convention. Perhaps a Trump outdoor event might still proceed. A fervent hope. Ann Romney realized she wouldn’t make the networks if she spoke on Monday so she was switched to Tuesday night in the primetime hour. She also arranged with The Weather Channel to be inserted into hurricane coverage. Bigger storms are brewing, however. The platform suggests that the party is pretty unified on the idea that fertilized human eggs should be recognized as persons. As a result Tampa is now experiencing a massive pilgrimage of entitled Eggpersons demanding credentials. They immediately hold a caucus complete with an appearance by the candidate. One of the first results: logo change. And what about Paul Ryan? 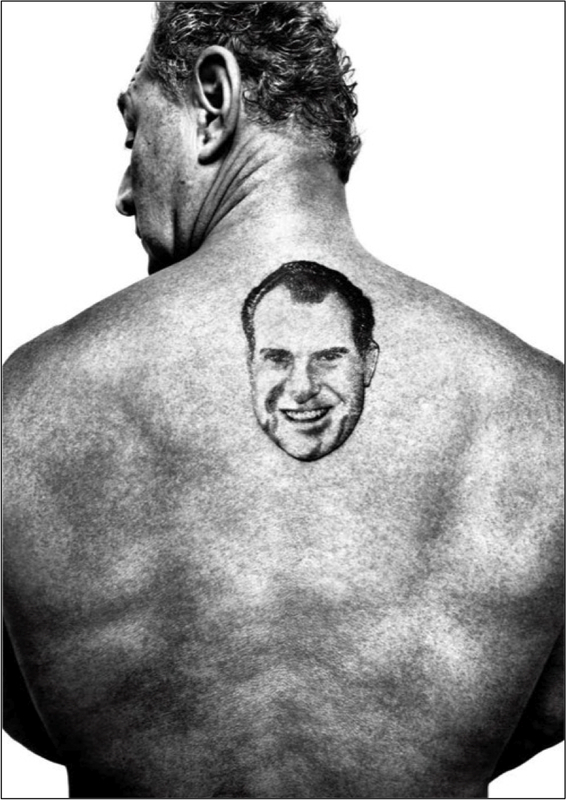 I am reminded of a famous photo of GOP prankster Roger Stone, who had Nixon art tattooed on his back. Some similar ink for Ryan involving Todd Akin would perhaps be enough to keep the GOP as happy as a blastocyst in glycoprotein.